Here is Some Information about Sai baba Temple in Delhi India. Sai Baba temple is located at Institutional Area, Lodhi Road, Near Javahar Lala Nehru Stedium New Delhi.The temple was built in 1968 and built by Sai Bhakta Samaj Delhi. 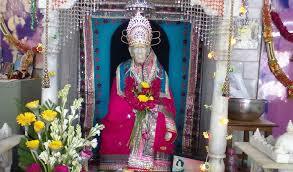 The temple is dedicated to Shri Saibaba.It is one of the oldest Sai Temple in Delhi. 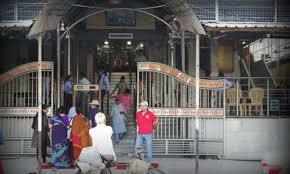 Other prominent Sai Temples in Delhi are Shirdi Sai Temple, Dhaula Kuan and Shirdi Sai Temple, Vasant Kunj.The temple is simple yet majestic and if people are to be believed then many testimonies regarding feeling the divine presence of Baba have been recorded since the time the temple was built. 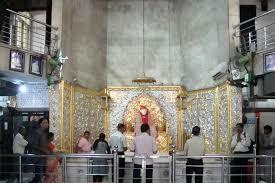 The temple has a big idol of Sai Baba that sits in the main hall, where devotees offer chadar and flowers. It attracts thousands of visitors across the country to the place irrespective of the religious beliefs cast and creed. Being the very beautiful shrine was made as a shrine of the Sai Baba. The meaning of Sai Baba is very different for Persian people and Hindu people. Both of them use to denote Father through the same name. Sai Baba is the only father who cares for his children of al religions or caste and creed and listens to every one. He always delivers his speeches with one thing which is Sabka Malik Ek.In this temple Daily poojas are performed including the Kakad Aarti, Noon Aarti, Dhoop Aarti and Shej Aarti,Food Service,and many more programs.Lots of people use to over this place and they feel the peace and calm at this place. Most of the people use to come to this temple everyday and also use to perform their duties and responsibilities to keep the temple premises neat and tidy. They also perform gardening so that natural air can keep the temple cool and calm always. There is a huge crowd of devotees at this temple on every Thursday. 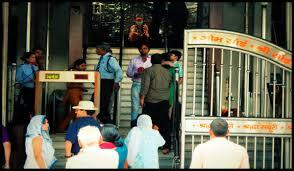 By Raod : There are many public and private vehecals available to reach Sai baba Temple in Delhi. By Metro : The Nearest Metro station is JLN Stadium metro stadium station delhi. By Train : The Nearest Railway station is Nizammuddin Railway Station Delhi.